Teaching English in a Foreign Land: This month's Top ESL blogs! This month's Top ESL blogs! Top ESL blogs is back, but now it's going to be a monthly rather than a weekly blog. Here are the best blogs about ESL and travel that I've read over the last month. Why didn't I go here? 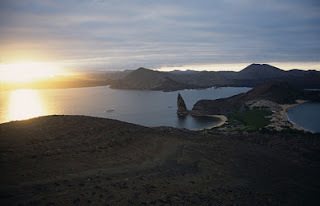 Check out this article on Art of Backpacking about Exploring the Galapagos islands by Michael Tieso. There's a great video about the Galapagos plus information on a tour company called Contiki. Looks like great fun. Have a bit of fun with your students with this grammar shooting game on samogaathome. Wish I'd seen this before doing module one. Have a look at this blog with some useful resources for module 1. Sure to come in handy for any new DELTA students. Does it really matter? Can you cater for all your students needs? Check this blog on TEFL tips with some important information on learner styles. One of my favourite places to travel in the world was up the Gold Coast in Australia. It was such a laugh and I met some really funny people. Check out this blog about a Gold Coast Holiday on ielanguages. Stuck without any ideas for the last week at term? Have a look at this post on freetech4teachers with some decent links to create motivational images for your classroom. There's an interesting article on azar grammar about how English is constantly evolving. Worth a look if that's your kind of thing. It might be a bit late in the year, but this is well worth storing for next year's students. Have a look at this blog on PET Exam preparation! I'm always banging on to my students about how important reading is to improve their vocabulary and general English. Have a look at this blog on ESL About for information on how reading can improve your English. That's all for this month. Keep your eye out for a new Top Expat blogs coming soon.